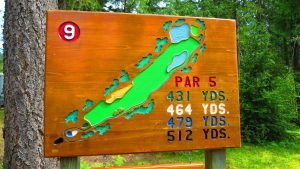 Mabel Lake Golf Course offers an unforgettable golf experience and a challenge for all skill levels. 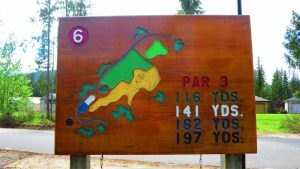 Designed and built by renowned course architect Les Furber, this par 36, regulation size 9 hole golf course boasts 4 sets of tees with fairways winding through mature forests, natural transition areas, rock walls, ponds and paved cart trails surrounded by a picturesque mountain range. 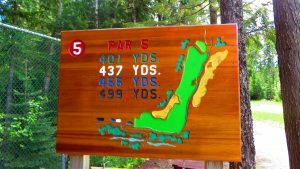 Take a look at the unique golf holes waiting to be played at Mabel Lake. 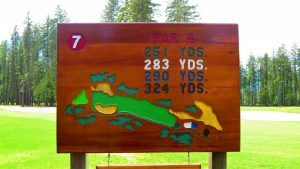 Par 5 – Dogleg right. Getting your drive to the corner is a must to give yourself a great shot at birdie or Par. This is a true 3 shot hole. Par 4 – Keep your drive to the middle left in order to avoid the large waste area on the right. Play to the middle of the green for an easy 2 putt. Par 4 – Straight Away. Our signature hole. Enjoy! 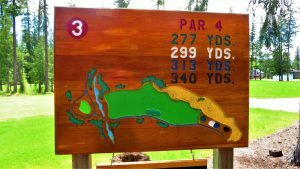 Par 3 – The shortest hole on the course, but definitely not the easiest. O.B. left and an environmental hazard on the right makes for a challenging tee shot to this rather small green. 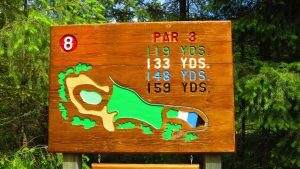 Par 5 – Dogleg left. A good strong drive will set you up for this 90° dogleg left. Hit over the waste on the left to set up a good approach to the green, but avoid B.C’s biggest waste area to the right of this hole. Two good shots leaves a short approach for birdie. 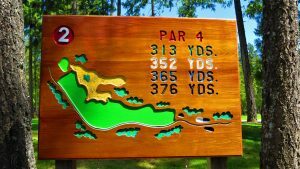 Par 3 – Our longest and toughest Par 3 with a large two-tiered green. Could be a full two club difference depending on the pin position. Snack shack and washrooms following this hole. Par 4 – Straight away. 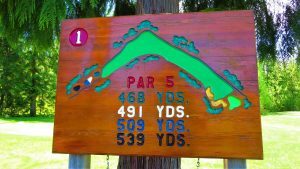 The shortest Par 4 on the course. Use a long iron off the tee to avoid the waste areas on the left and right. This large green is deceptive so play to the middle for an easy two putt. 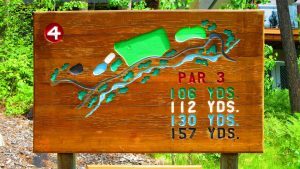 Par 3 – This short Par 3 has a waste area surrounding the green so play to the middle of the green to avoid this unique hazard. 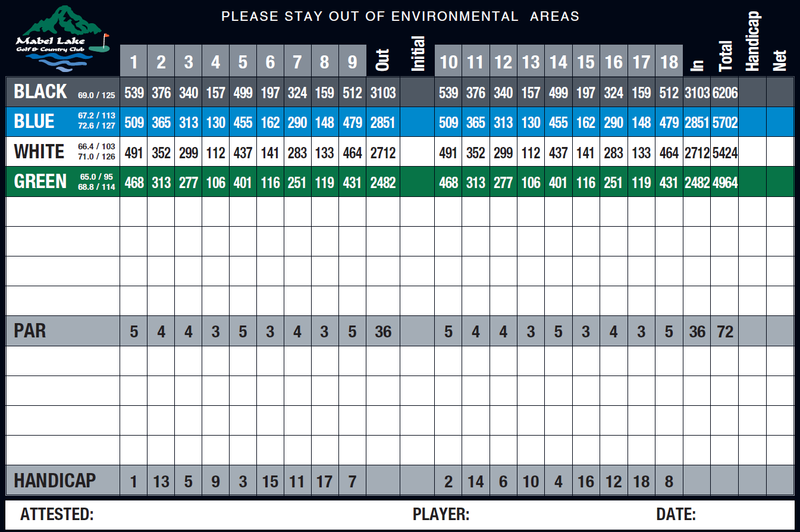 Par 5 – Straight away. 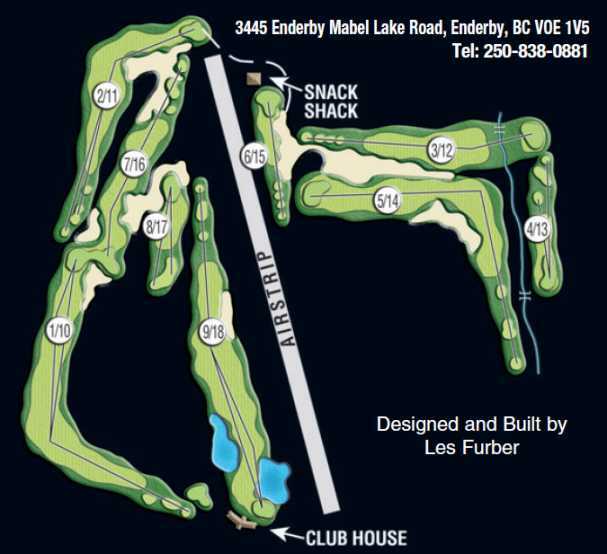 This beautiful finishing hole here at Mabel Lake has two ponds guarding each side. These must be avoided to set up a birdie or even eagle chance.